Solidly grounded in Milton's prose works and the long history of Milton scholarship, Milton among the Puritans: The Case for Historical Revisionism challenges many received ideas about Milton's brand of Christianity, philosophy, and poetry. It does so chiefly by retracing his history as a great "Puritan poet" and reexamining the surprisingly tenuous Whig paradigm upon which this history has been built. Catherine Martin not only questions the current habit of "lumping" Milton with the religious Puritans but agrees with a long line of literary scholars who find his values and lifestyle markedly inconsistent with their beliefs and practices. Pursuing this argument, Martin carefully reexamines the whole spectrum of seventeenth-century English Puritanism from the standpoint of the most recent and respected scholarship on the subject. Martin also explores other, more secular sources of Milton's thought, including his Baconianism, his Christian Stoic ethics, and his classical republicanism; she establishes the importance of these influences through numerous direct references, silent but clear citations, and typical tropes. 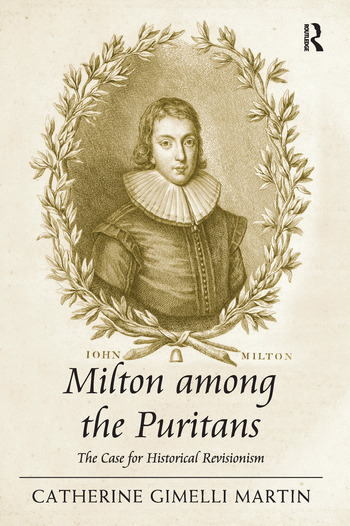 All in all, Milton among the Puritans presents a radical reassessment of Milton's religious identity; it shows that many received ideas about the "Puritan Milton" are neither as long-established as most scholars believe nor as historically defensible as most literary critics still assume, and resituates Milton's great poems in the period when they were written, the Restoration. Catherine Gimelli Martin teaches at the University of Memphis, USA, where she has been the recipient of a Dunavant Professorship and several distinguished research awards. The Milton Society of America and the John Donne Society have similarly honored her with essay and book awards.